Coming from Australia, you immediately notice that London is a pricey city. Prices are roughly the same back home but the exchange rate is roughly double. So that “cheap” Chinese meal that cost you £10 would be the equivalent of spending 20 bucks! 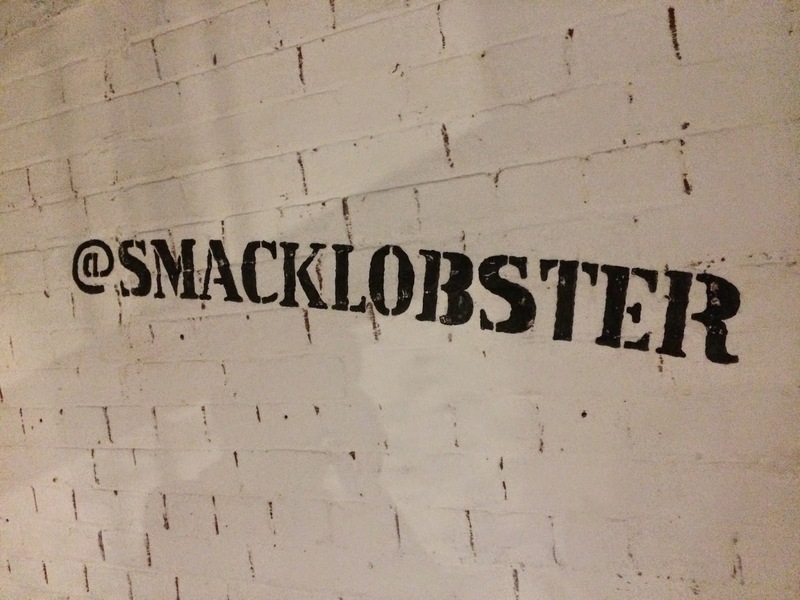 So when I found out that a restaurant called Smack Deli serves a whole lobster for £12 I had to track it down. 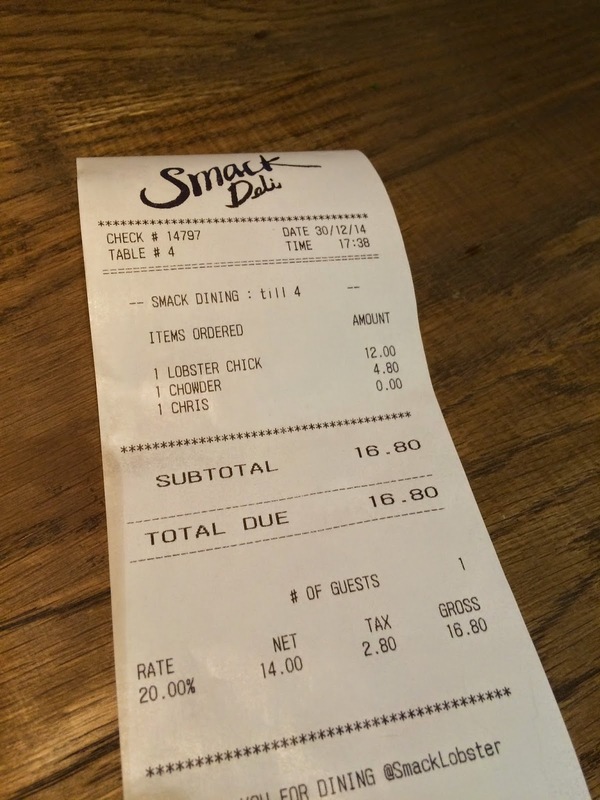 Smack Deli is located on Binney Street off busy Oxford Street, and very close to Bond Street Underground station. 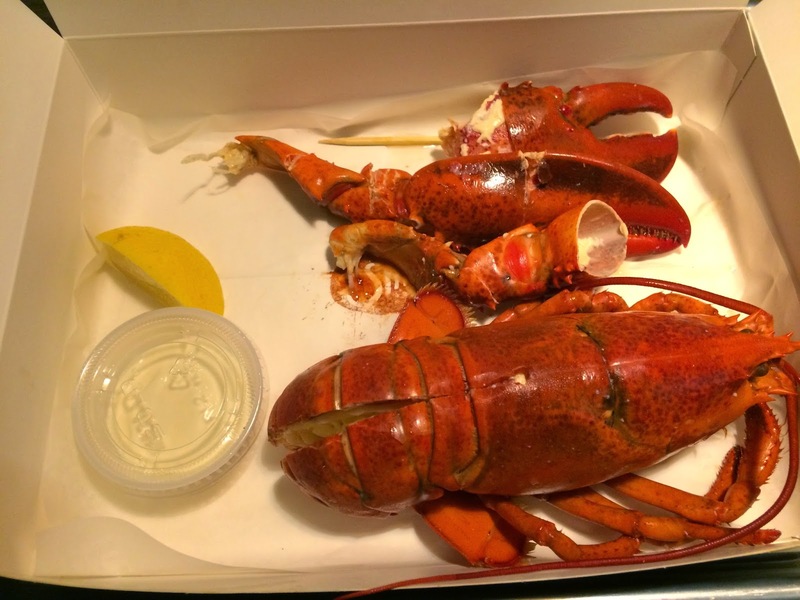 The menu at Smack Deli is all about lobsters. 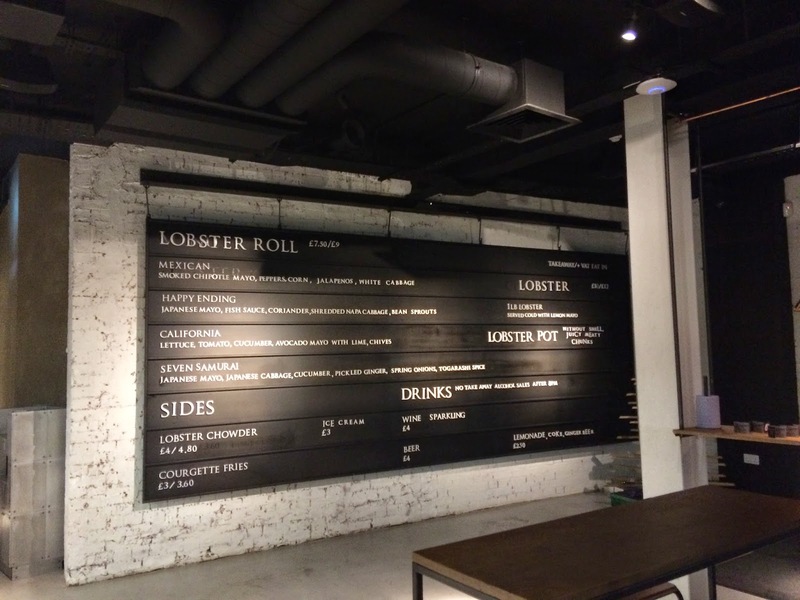 You’ve got 4 different types of lobster rolls, whole lobsters as well as some sides. Prices do vary wether you are dining in and grabbing takeaway. 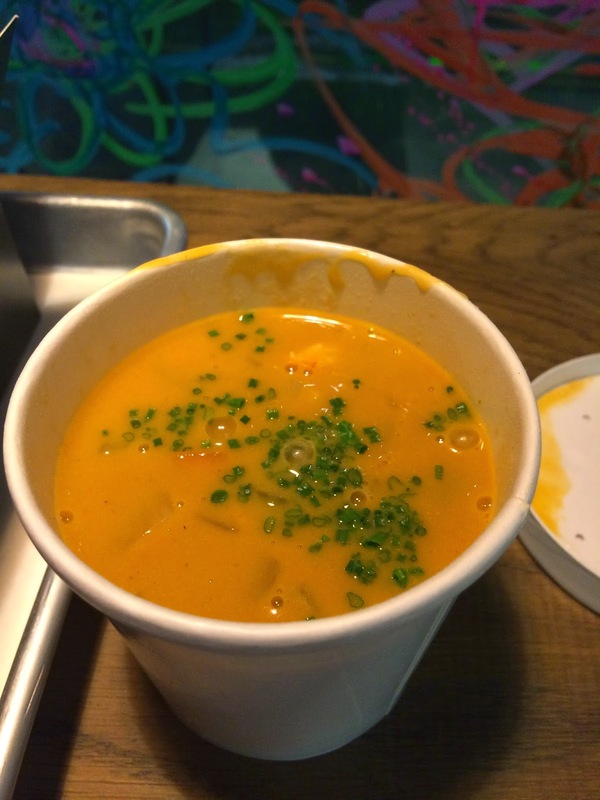 After I ordered my whole lobster and lobster chowder, I was handed a buzzer. Within a few minutes of me sitting down, the buzzer went off and I collected by meal. 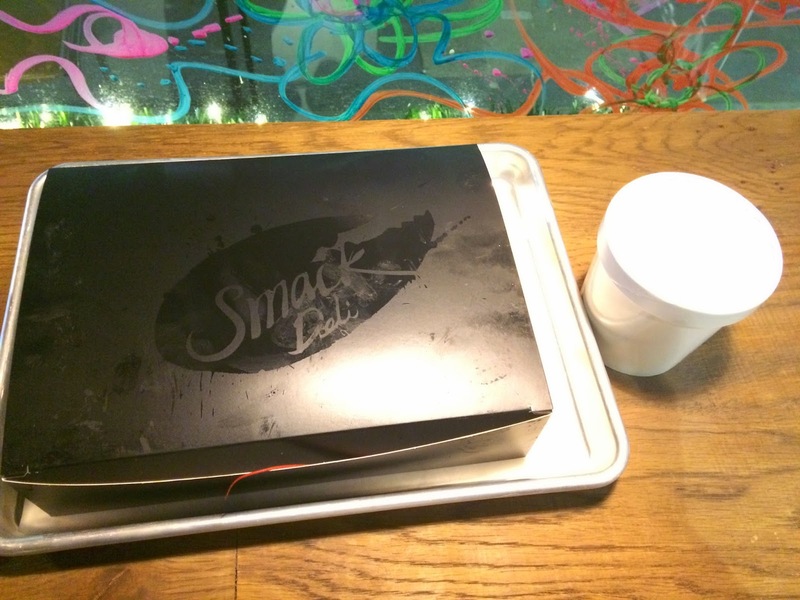 The lobster is packaged in a nice black box. 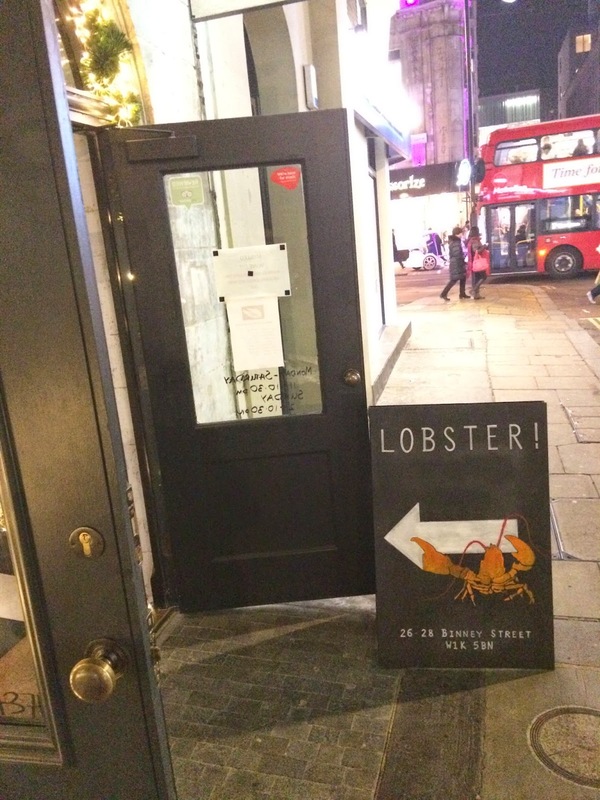 The whole lobster (£12) is served cold with a slice of lemon, some mayonnaise and a very useful pick. The lobster meat was juicy and come off the shell easily. The lobster chowder (£4.80) had HUGE chunks of lobster, the soup itself was creamy but not too think. If I return to London then yes!